McKinney, TX– Durham School Services, a leading provider in student transportation, proudly received a visit from Van Taylor, State Senator, on Wednesday, February 24. In celebration of Love the Bus month, State Senator Van Taylor toured the Durham facility in McKinney. Throughout the tour, Senator Taylor saw firsthand the efforts of Durham’s team to fulfill their mission of getting students to school safely, on time and ready to learn. 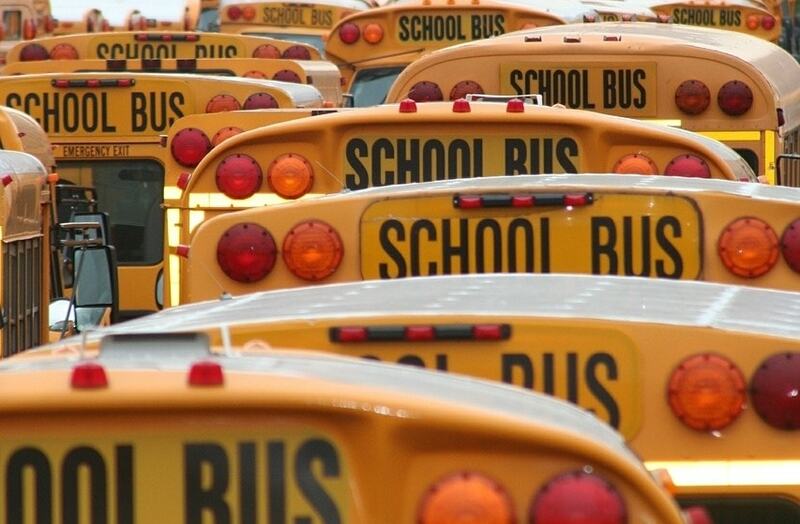 Love the Bus campaign was started by American School Bus Councilto raise awareness and appreciation for the hundreds of thousands of school bus drivers who safely transport children to and from school. The campaign is celebrated throughout the month of February. Durham School Services, Stock Transportation, Petermann Bus and National Express Transit Corporation, make up National Express, headquartered in Warrenville, Ill. As a leader in transit and student transportation, National Express is committed to exceptional safety, outstanding customer service and positive employee relations. Our North American companies operate more than 21,000 buses and serve 550 clients in 32 states and four provinces.